As you read this, our team of scientists and research assistants is already trekking out to the Black Rock Desert once again to conduct the third--and most comprehensive--collective consciousness experiment ever at the Burning Man festival. From our Playa-based research center, dubbed Camp Kinoetic, we will be setting up new, custom-built random number generators (RNGs) at key locations around the city to measure the synchronization of collective energy during the climactic moments of the Burn. This study, explains Dean Radin, IONS Chief Scientist, is an experiment testing the hypothesis that mind and matter interact, and that this interaction can be detected when a group of people focus their collective attention toward the same object or event. Burning Man is an ideal setting to test this hypothesis because the group is isolated, the group is coherent in the sense that everyone at the festival shares the same high motivation to be there (no one wanders in accidentally), and because there are two periods during the week-long festival when all 70,000 people are focused on the same event: the burning of the man effigy and the burning of the temple. During these periods, when the collective mind associated with the crowd becomes unusually coherent, we predict that a similar moment of unusual coherence will arise in physical entropy. Based on previous pilot experiments at Burning Man, we predict that within a 20-minute window starting five minutes before the effigy burning ceremony, a greater-than-chance degree of cross-correlation will be observed among the outputs of our devices on the Playa (all of which are based on quantum randomness via electron tunneling). Thanks to the generous support of the Ray Benton Fund, we plan to place between 34 and 50 RNGs all around Black Rock City, all recording continuously from at least one day before the burning of the man effigy to the morning after the temple burn for a total of up to three days and producing hundreds of gigabytes of data to analyze. Imagine surfin’ on a Super Earth! Just like the Earth only…better! Blast Off!!! Oh Super Earth!!! 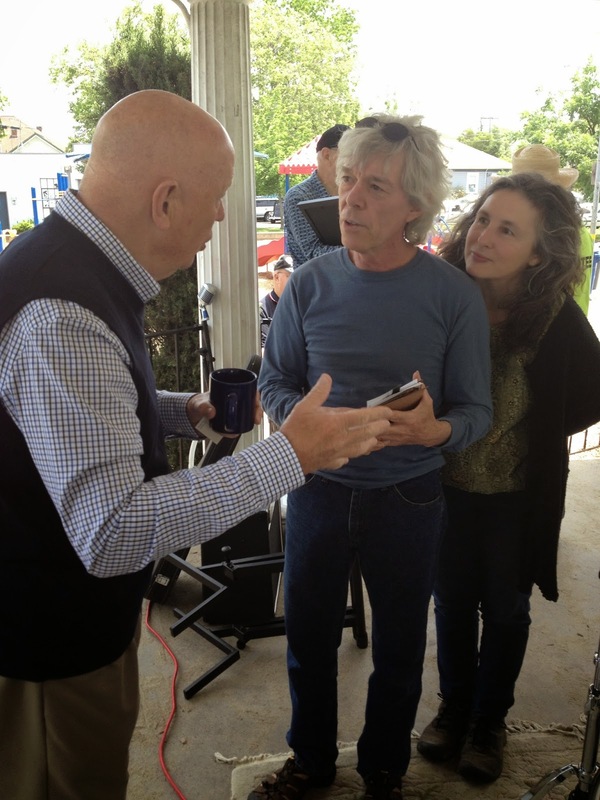 In our continuing saga of singing for astronauts, Kathy and I had the honor of staging a surprise musical tribute to astronaut Story Musgrave. Dr. Story's list of accomplishments read on and on like the exploits of a superman. This is the guy who repaired the Hubble Telescope. Try doing that extremely technical work in a space suit with the earth wheeling over your head at 17,000 mph. Screw up once and it's "Game over man!". 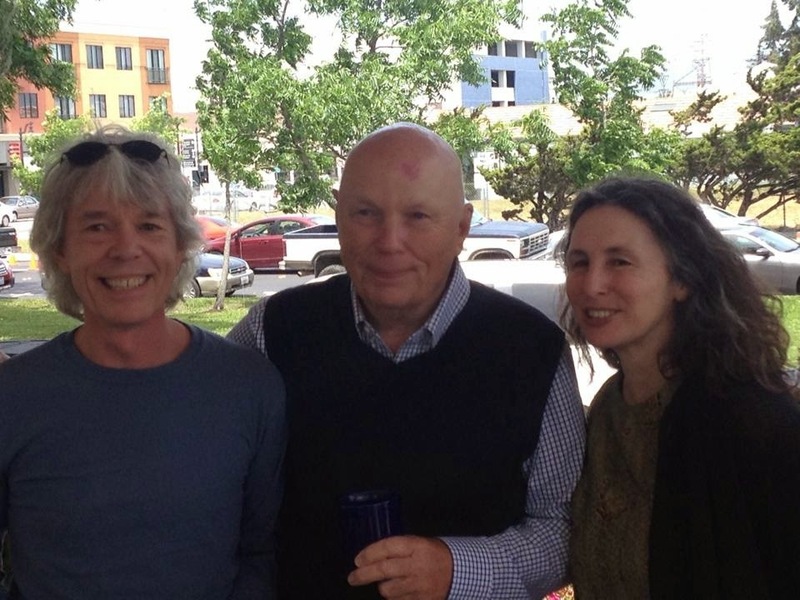 The city of Petaluma had made a formal declaration that Saturday, May 17, 2014 be "Story Musgrave Day" and Mayor David Glass and other dignitaries were on hand to give him a plaque honoring his many years of service. Kathy and I were stealthily positioned in the Walnut Park gazebo waiting as he and as his entourage came around the corner. As he approached the stage unaware, we launched into "Rocket Man" with everyone around joining on the chorus. A big smile spread over his face like a kid at his own surprise birthday party. The guy has nerves of steel and a very warm heart. He hugged everybody before he was presented the plaque. It was a thrill to give him a disk our original "space rock" songs, and he accepted the gift like we gave him the keys to the city. After years of opening for astronauts I've noticed some things they have in common. A light-hearted enthusiasm and politeness seems to animate them. All those hours of circling the Earth seems to whittle away at the human ego. They have internalized how rare and vulnerable we all are in the vastness of space. 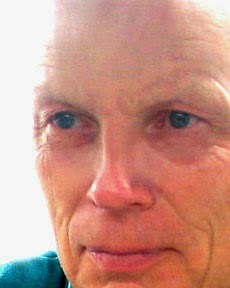 While we were talking with Story Musgrave a thought occurred to me...he should run for president. What a great leader he would make! On May 10th, Kathy and I opened for renowned scientist and author Dr. Timothy Ferris at the Santa Rosa Junior College in Petaluma. He was given an award for all his achievements, and Saturday, May 10th, 2014 was declared Timothy Ferris Day in Petaluma. What a thrill to sing to him the song we wrote that was inspired by his book 'Coming of Age in the Milky Way'. We sang the chorus with the audience waving their books to the rhythm of the song. I'll always remember that! So here's a guy who worked on one of the top missions NASA ever did: Voyager 1 and Voyager 2. They were all young men in those days including the late great Carl Sagan. 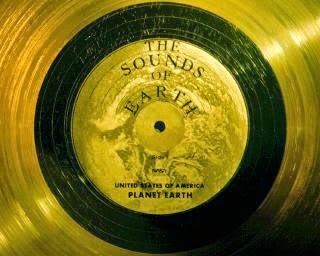 Dr. Ferris was in charge of producing the "Golden Record" which compiled descriptions of the human race, our location in the galaxy, and a fascinating collection of music including Mozart, World music, some blues by Blind Willy Johnson, and rock n roll Chuck Berry's "Johnny Be Good". I guess Carl didn't want that one in there. I'm glad he was outvoted on that one. The Voyager spacecraft (which are the size of small semis!) were hastily put together when a NASA scientist realized that a rare planetary line-up was about to happen that would make it possible to send a probe up--that would not only take amazing photographs--but would be flung by Mars, Jupiter, and Saturn at tremendous speeds...a million miles a day! Washington blew their minds when they funded not one, but two probes! So that's a combination of presidents Gerald Ford and Jimmy Carter giving the thumbs up on this one. We gotta work together folks! Voyager 1 and 2 are currently leaving the Solar System on their immortal journey across the galaxy. They are expected to outlive the Earth. Now that's a hit song! I sat with the Ferris' after the event, and Carolyn Ferris confided with me that she really liked my lyrics and expressed relief that we weren't hokey. I understand that! Writing about this stuff requires the songwriter to find out how things feel on an authentic emotional level. 'No feeling and you get hokey'; it's a law of songwriting. At the end, I thanked Dr. Ferris for all his hard work and inspiration. I also said that for me the Voyager missions were a metaphor for all the higher instincts of our species. Think of it, in 1977 at the height of the Cold War, when a nuclear war seemed almost inevitable, these two spacecraft were launched with a hope for a more peaceful future and a general view of a friendly universe. Now that's inspirational!